It is meant to be done by ALL, not only those who have God in their sight. And the once “unacceptable becoming acceptable”. We see God’s Laws being violated…in front of Divinity, so many crimes. By accepting these violations, to evil’s ways, Mankind has unfurled. Where love is only given, on conditional terms…not what God says from Up Above. That gives and gives till it soars to heights like a dove. It gives without expecting anything in return…it gives by rolling the dice. He will help us to discern what are the ways of Divinity, and those of Satan, God’s traitor. To the point of dying on the Cross, to save all of Mankind, to keep us alive. So that from Satan’s evil, we can be unshackled and forever say “goodbye”. So that we can enter God’s Eternal Paradise…forever being with Him in love…free from strife. And for those who did not listen to Divinity…will forever in Hell burn. Just as Jesus Christ did at the Cross, to uphold God’s Laws…He did whatever it takes. As the end of times come near…. Many will be lost…of God’s Laws their understanding will not be clear. For He showed all of mankind, how it is to live in accordance to God’s ways..to avoid Satan’s knife. For His Trophy is to make Mankind BELIEVE in Satan’s deception…and to prevent you from experiencing God’s Love. 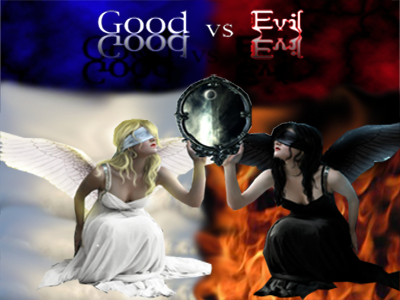 This entry was posted in Poems and tagged Battling Evil, compassion, discernment, enduring trials, Evil, evil ways are temporary, Faith, Fight over souls (good vs. evil), God, God's Love, God's Promise, God's ways are permanent, God's Wrath, Good vs. Evil, Jesus and His Crucifixion, Jesus helping Man, Justice for "the Just", Path to Truth, Persecution, Satan's deception, Unconditional Love on April 13, 2013 by foodforthespiritualsoul. God, the Father saw only one final way to save us, as His Most Precious Creations, to be the shock absorber of our sinful nature. Jesus came to earth, to show us, how we were to lead our lives, and to teach us how to do so. Jesus came, as the Son of God, lived amongst us to show us, that He understood all the things we endured; and how to conquer Satan’s Deception on this earth. As a sacrifice, He offered Himself, devoid of any sin or fault of any kind, to save Mankind from its sinful nature. He did so to give us the chance to return back home to the Father Up Above. Jesus Christ is the ULTIMATE SYMBOL OF UNCONDITIONAL LOVE. There is only one Jesus Christ, and His Truth will prevail. He taught us that even while He was accused and convicted of a crime He did not commit, while He was being ridiculed and persecuted on this earth, He loved and forgave all. He died in order to uphold God’s Laws at all costs, in the earthly sense, to show that Divine Laws conquer the ways of this world. He conquered Evil at the Cross;by not giving in to Evil’s Temptations, and by staying focused on God’s Will. This entry was posted in Thoughts and tagged Battling Evil, Christ, compassion, discernment, enduring trials, Evil, evil ways are temporary, Faith, Fight over souls (good vs. evil), God's Love, God's Promise, God's ways are permanent, God's Wrath, Good Friday, Good vs. Evil, Jesus, Jesus and His Crucifixion, Jesus Christ, Jesus helping Man, Persecution, Satan's deception, Steadfast Faith, Trials and Tribulations, unconditoinal love on March 29, 2013 by foodforthespiritualsoul. When we love, there should not be any barriers or pride in doing so. There shouldn’t be any false barriers, but a feeling of complete vulnerability; with an empowerment by strength that can only come from a Divine Source. When we love, it should will easily hurt when others take advantage of such love, based on such a heart not being bound by the ways of the world. It will also easily forgive….and this forgiveness is selfless, and sacrificial in nature. It loves, because it is bound by the code that is established by Divine Law; not by worldly laws, made by Man. When we love, it loves without fear..because it answers to a higher being at the end of it all. When we have chosen to follow a path in finding the Father of Creation, we have to realize that will be given insight to things that those who do not. As a result we are responsible for using this knowledge, to get others on the same path as you. We humble ourselves to the world around us, making our heart visibly clear for all to see, as a beacon in the darkness on this earth. There is no hiding even when facing evil in the eye, with a heart that is rooted in God’s Unconditoinal Love. This is what Jesus Christ displayed on the Cross at Calvary. To fathom the love that Jesus shared on the Cross truly does bring tears to my eyes. To endur all that pain…both in the physical and the mental sense….in order to save Mankind from the grips of Satan; that kind of strength could have only come from Divinity. There is no Man that could endure all that. The biggest flaw in Man is that they forget God’s Existence. They believe it is they who have made their lives, and steered the current direction that they are on. We must remember NOTHING HAPPENS WITHOUT IT BEING WITHIN GOD’S PLANS for you. It is in these plans that you excel beyond anyone else, why? Because God had meant that to be your destiny. At the same time, God does such things, in order for you to know that you should detach yourself from the ways of this world; and follow the path that He had provided for you. That God’s Ways are first, and foremost in your life. Nothing of the self is involved. When we put God first, IN ALL, we do, this is when we begin to see the things of this world, for its true value: NOTHING IN COMPARISON TO WHAT THE FATHER OF CREATION can provide for you. There are so many restrictions to which the things of this world can provide for someone. But when it comes to God providing such things for you, there is no limit to it. Not to mention, to what we give to others, there is no limit. However, in order to not allow for evil to jade us or to wear us down, we must ask God, to help us discern, what is of Him, and what is not. For we are in times of a Spriritual Battle. Jesus Christ, while roaming this earth, has made it very clear what God expects of us. So we must be in line with His Teachings, in order to enter His Paradise. They are very simple, yet because of Satan and his demons running so rampantly through this earth, tarnishing everything to deceive, manipulate, and to scheme everyone off of the Path to God’s Paradise…it is becoming harder and harder for us to follow those simple teachings. 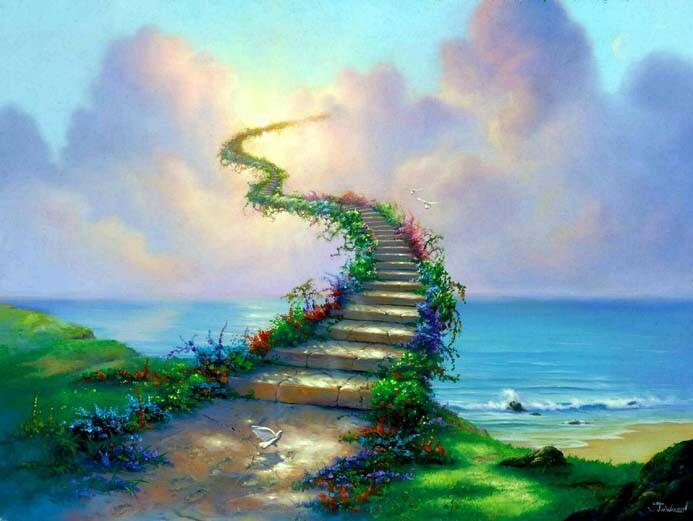 As Jesus said, “The pathway to Heaven is narrow; and very few will walk that path.” That means there are many that will CHOOSE, that right I said CHOOSE…because God gives us the choice. In the meanwhile, evil does not give us that same right to choose. In fact, Satan constantly bombards us with his deception, lies, and schemes, in order to make us jades of God, and Jesus Christ. In fact He wants us to forget Jesus Christ altogether. He constantly bombards us with lies and schemes, to make us bitter and angry with God. Just remember, the stronger you get in your faith, you are getting one step closer to God. At the same time, with each step you get closer to God, the more angry Satan is getting angry for you going further away from his evil; and will throw even harsher trials at you, to get you off. To endure such spiritual battles, you would need strength from the Father of Creation. This strength has the pwoer to defy Evil…to conquer evil. Evil does not know how to love others; it only knows how to love itself…and to make others love it. It’s not about loving others without any reason….or for just loving because we were created to love. Do you know how many hopeless people are saved, just because someone just decided to love another person, for no specific reason? How many times do we show this to another person, if we know love has this much power? In the end of it all, we are all held accountable for our own thoughts, actions, and intentions. It takes daily self evaluations, to refine yourself, to an image that is pleasing to God. And this is a lifelong process. There is no shame for such a heart to admit when they are wrong….for they are quick to make things right. There is no pride in such a heart. Remember there are certain things said in that will prevent us from entering the Kingdom of Heaven…we must be mindful of them..and avoid them at all costs. It can cost us Eternity. 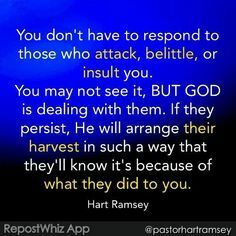 This entry was posted in Thoughts and tagged Battling Evil, Christianity, compassion, discernment, Earth, enduring trials, Evil, evil ways are temporary, Faith, Fight over souls (good vs. evil), God, God's Love, God's Promise, God's ways are permanent, God's Wrath, Good vs. Evil, Jesus, Jesus and His Crucifixion, Jesus Christ, Jesus helping Man, Justice for "the Just", Satan's deception, Self Refinement on March 1, 2013 by foodforthespiritualsoul. In making you think that there is no hope, and things will only get more rough. But Jesus showed us through His Own Life and Death,sure enough. And how to conquer evil’s tolls of deception and lies. That we were unshackled from evil’s control, to regain His Children back…He did not want that loss. It is nothing in comparison to God’s Wrath for not listening to Him, for sure. So that He can call back everyone that listened to His Message of God’s Love…to which in their hearts burn. Jesus will pass judgement, and will pour out God’s Wrath…unfurled. That He gives us till the last breaths in our human bodies to come to him, ideally. And if we had not come to God….that means we had taken evil’s bait. Whether some may realize it sooner or later. And Jesus will come one day, to end them all…to bring forth God’s Paradise…good and steady. This entry was posted in Poems and tagged A call to help fellow man, Armor of God, Battling Evil, Christ, Christian Poetry, Christianity, compassion, discernment, Earth, enduring trials, Evil, evil ways are temporary, Faith, Fight over souls (good vs. evil), God, God's Love, God's Promise, God's ways are permanent, God's Wrath, Good vs. Evil, Jesu, Jesus, Jesus and His Crucifixion, Jesus Christ, Jesus helping Man, Path to Truth, Persecution, Satan, Satan's deception, Self Refinement, Spiritual Battles, Steadfast Faith, unconditoinal love on January 31, 2013 by foodforthespiritualsoul. While I lived on this earth, I roamed around telling you of the immense power of Our Father’s Mercy and Love for us all. Many of you listened; but how many of you, truly LISTENED? Oh, how I weep for all of you, as I watch from up above, with Our Father. I have told you, time and time again, that there is more to life, than what you see with your eyes; and hear with your ears. Life is the very Truth that Abba put within you, since the time you were conceived in your Mother’s Womb. Yahweh’s reward and prosperity is given to you, is not defined by the ways of this world…for He has said that He is beyond such ways. I have pleaded with you to turn from ways that are not pleasing in God’s Eyes; yet you still continue to follow them. For what reason? For earthly gain? Do you not know that the Father of Creation, can have those things taken away, with swipe of His Mighty Hand? You only remember Him, in times of trouble. But how many of you remember Him, in times of happiness? He is the One that brings these moments to you…and showers you with endless love, from up above. I came to this earth, to let you know how much Our Father loves you. He loves you so much that He just waits for you, to reach out your hand to Him, for His Help. He waits for you…with arms wide open. All you need to do, is go to Him. 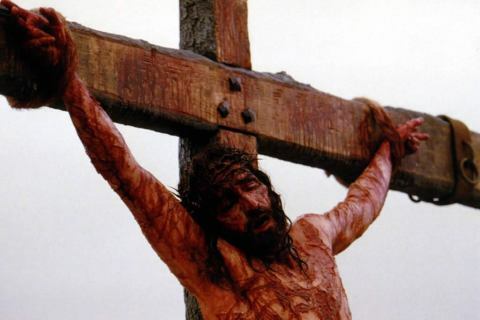 I died on the earth, in the physical sense, because of His Love for you. He asked me to love you, more than myself; and to die for the sake of saving you from the grasps of evil. Evil wanted to take you away from Him, forever. But I came to take you away from it, forever; and to unshackle to its ways..and becoming its prisoner. I came to bring you back home, with me. I want to take you back home with me.But Our Father in Heaven only wants true believers in His Love; not those that have doubt or do it when it is convenient. Defeat evil; and find strength in God, as I did. And we will meet in the Paradise that Our Father is waiting with arms wide open, to welcome you back home, to Him. This entry was posted in Uncategorized and tagged A call to help fellow man, Armor of God, Battling Evil, Christ, Christianity, compassion, discernment, enduring trials, evil ways are temporary, Faith, Fight over souls (good vs. evil), God, God's Promise, God's ways are permanent, Jesus and His Crucifixion, Jesus Christ, Jesus helping Man, Path to Truth, Satan's deception, Trials and Tribulations on January 23, 2013 by foodforthespiritualsoul. Hope is such a powerful thing. Hope is what saves lives. As human beings, this is what separates us from the rest of God‘s Creations. We are able to analyze and see beyond the circumstances in front of us. To forge ahead, with the HOPE of overcoming what is set in black and white (concretely) in front of us. True liberation, is through hope and love, which is what Jesus Christ displayed on the Cross. When you believe in God who says His Ways are beyond any logic on this earth; that is how HOPE arises. You FEEL and BELIEVE in a logic that only Divinity can inspire. People believe we are fighting wars that are in this physical realm….but there is a bigger war that we are ALL a part of, and that is within the Spiritual Realm. Jesus Christ, through the example of how He led His Life, gave us all of the tools and teachings to the foundation we needed to fight this spiritual war. And by dying on the Cross, He unshackled us from Evil‘s grips. God loved us that much as His Children….that He sent His Son, from Heaven, to live amongst us….to endure everyday struggles and trials…..and to even endure the tortuous death that He did….to go to that extent to show us, how much He loves us…..to show us how much He understands what we go through, based on evil’s plans….to show us that despite all of the wrongs we commit, we have the opportunity make things right in front of Him…and come back home to Him. Jesus dying on the Cross, did so, out of Love. Not because of any deal or cause. Just simply…out of Love, to become the shockabsorber of our sins (which my Dad has often told me, in so many ways). God has given us the CHOICE….to choose to live in His Ways. Unlike evil, God does not force us into servitude, in exchange of His Love and Acceptance. Once you have tasted Yahweh‘s Love, it becomes something you yearn to feel forever. He doesn’t force you…you just CHOOSE to want it more and more. Evil wants you to believe we serve such an unjust God, that is hypocritical and mean. However, Jesus Christ showed us on the Cross, that His Love for us is so endless, that He sacrifices all, for the sake of bringing us back home to Him. , to the point of sacrificing His Son at the Cross. Jesus Christ, though being the King of Kings….He did not die in a noble way. In fact, He died alongside 2 criminals…..because that is the extent that God was telling us…that HE WILL FORGIVE, NO MATTER THE SIN. We just have to go back to Him….and ask to be forgiven. There is only one thing that can prevent us in going back to Him and asking for that forgiveness, and that is ONE OF THE 7 DEADLY SINS: PRIDE. In fact this sin is what drives evil’s agenda, to take away as many souls possible from God…….it is what got Lucifer kicked out of Heaven…..
Jesus Christ died on the Cross…..to show us ALL, that there is HOPE. Hope that God’s Goodness will rule again. Hope that evil’s rule is over. The final countdown for evil’s rule, began upon Jesus dying on the Cross. 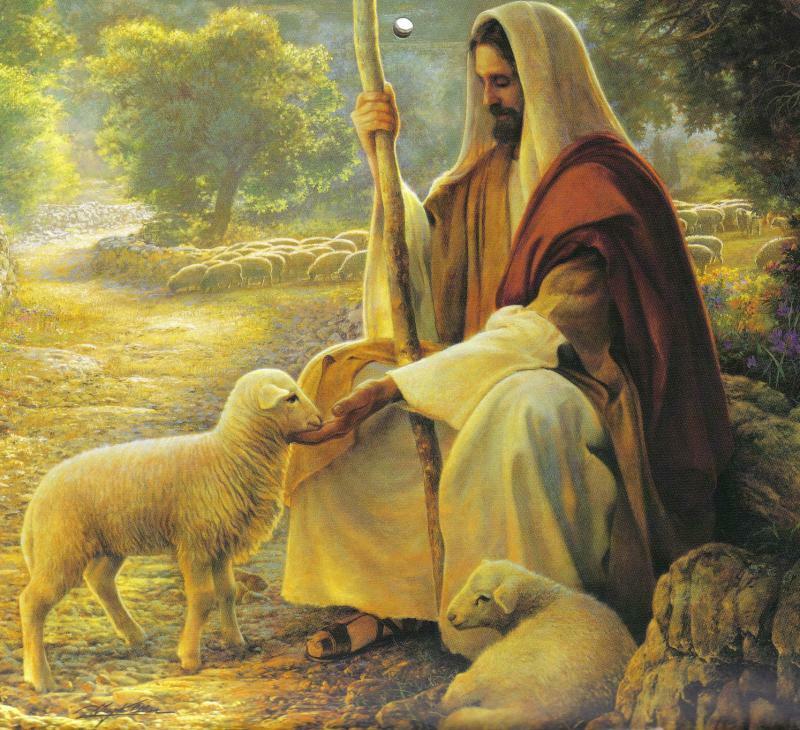 Jesus Christ came down from Heaven to be the example of what a life living in complete obedience to God, requires. IF God says He is not of the ways of this world, we must not live in ways that conform to this world; but in ways that Jesus did, out of SELFLESS, UNCONDITIONAL LOVE. Yeshuay showed that Yahweh’s ways are not hypocritical…but merciful. HOPE is so power….it is the spring board to Love……. Just as Jesus did, endure the trials….because it is evil trying to kill the hope in you. Just as Jesus did, endure the heartache…because evil wants to make you not be able to love UNCONDITIONALLY…but only love CONDITIONALLY. 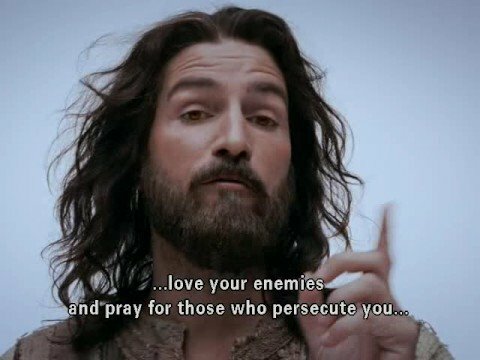 Jesus DIED FOR ALL…..He told us to love not only those that love us…but those that hate us….for those who wrong us….for those that we know and don’t know. That is what He demonstrated at the Cross. 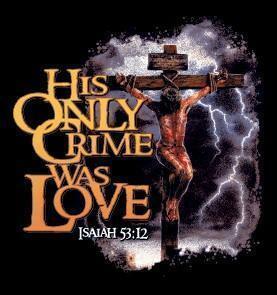 His Love was for all of Mankind. Jesus died for the sake of giving us hope, that we can return back to the Father in Heaven….the Father of all Creation. This entry was posted in Thoughts and tagged A call to help fellow man, Armor of God, Battling Evil, Christ, Christianity, compassion, discernment, enduring trials, Evil, evil ways are temporary, Faith, Fight over souls (good vs. evil), friendship blessed by God, God, God's Love, God's Promise, God's ways are permanent, God's Wrath, Good vs. Evil, Hope, Jesu, Jesus, Jesus and His Crucifixion, Jesus Christ, Jesus helping Man, Justice for "the Just", Listen for God's Call, Lord, Love, Path to Truth, Persecution, Refiner's Fire, Religion and Spirituality, Satan, Satan's deception, Self Refinement, Spiritual Battles, Steadfast Faith, Trials and Tribulations, unconditoinal love, Yahweh on September 9, 2012 by foodforthespiritualsoul.